Like the ARC and Gateway, the Public Records Office Northern Ireland (PRONI) is one of the new developments within the Titanic Quarter at Queen's Island Belfast. 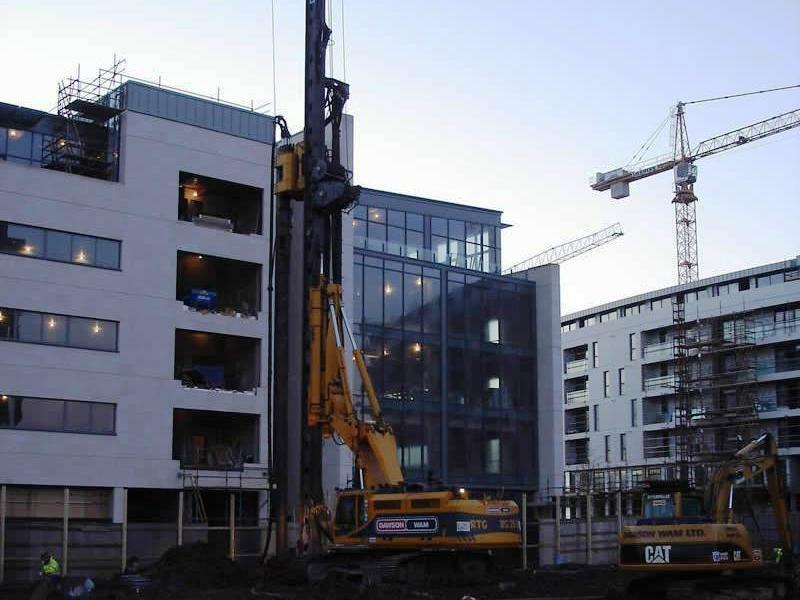 This piling subcontract involves the installation of bearing piles for the foundations of the new PRONI building. A total of 395 Nr. 450mm diameter bored concrete piles are being installed by DAWSON-WAM's Leader rig systems on the former industrial site previous occupied by Harland and Wolff. Despite the usually problems of obstructions to piling operations due to historical building foundations on brown field sites the work is running to the programme, within budget and to the quality required by the client.